The Triumph Razoredge saloon is a luxury British motor car produced between 1946 and 1949. Coachwork is by Mulliners with a well appointed interior of leather seats, wilton carpets and highly polished woodwork. This car has recently appeared in films ‘The Stone of Destiny’ and ‘The Crown’. 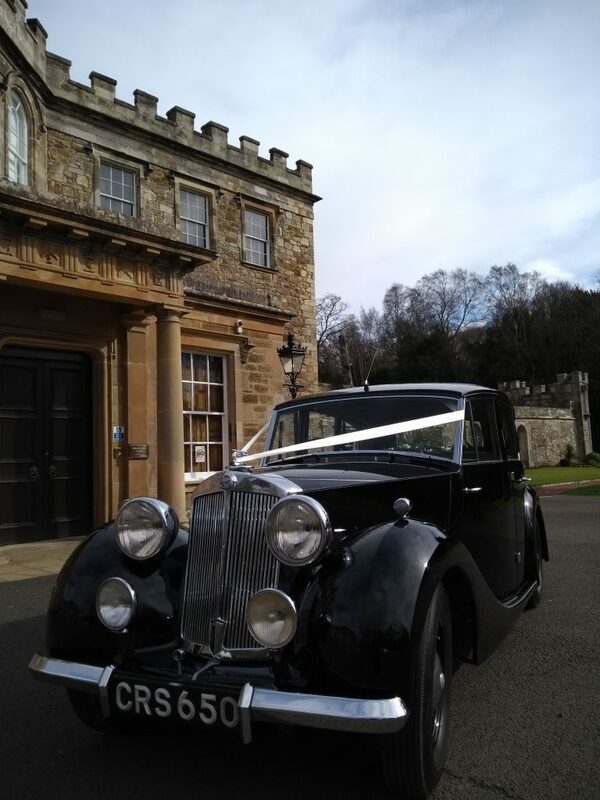 You are sure to make your entrance in style travelling in this classic British motor car. Can seat three in the back and one in the front seat if required. *Please note, this car does not have seat belts so is not recommended for transporting children or vulnerable people. Under 3 year old’s are not permitted to travel in our cars without seat belts.